It has been a wild season on Big Brother 2014 and we have all had mixed emotions when it comes to the Big Brother 2014 cast. I remember when the HGs moved in and I thought Zach Rance was the biggest douche on the show and he needed to go and he needed to go stat! Big Brother 16 plays out and Zach is voted out during Week 8 and I could not be any more upset! First impressions are not always right and most us grew to love Zach on Big Brother 16 and were sad to see him go this week. 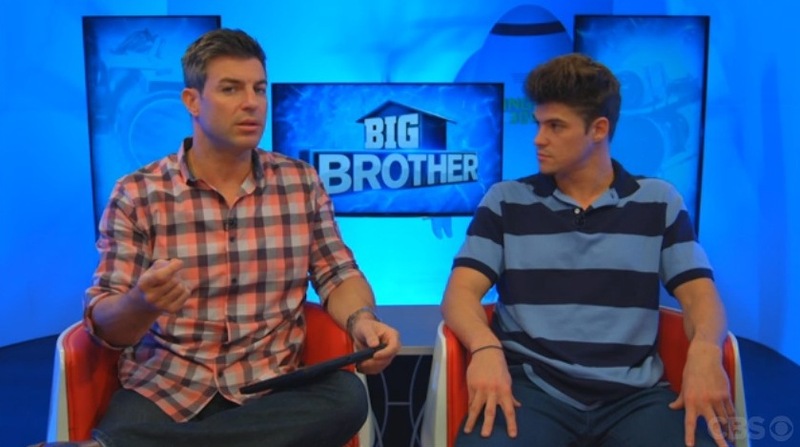 He sat down with Jeff Schroeder for the BB Live Chat and you can check out their interview below in our Big Brother 2014 spoilers! We saw a lot of different sides of Zach this season, as he was someone that tried to be so mean and make everyone hate him, but then he had moments with Donny that just made you want to run up and hug him. I think Zach is a lovable guy and America responded to that and he gained many fans this season, which will upset Frankie and Christine once they find out! I truly miss Zachs presence on the feeds. He has one of those personalities that make you think ANYTHING could happen at any given moment. He was a spark among the ashes of the other hgs. I miss him too. I’ve always liked him in the game. I wonder how it’s going in the jury house and what Zach Attack is getting up to. I agree but Donny should win. Frankie thinks he can ride his famous sisters coattails.